The bittersweetness surrounding this release is almost unbearable. Bassist Charlie Haden was (along with drummer Paul Motian, who died just a few years ago) a member of Keith Jarrett’s first great trio, and made landmark recordings with that group and with an expanded quartet version of the ensemble (including saxophonist Dewey Redman) in the 1960s and 1970s. 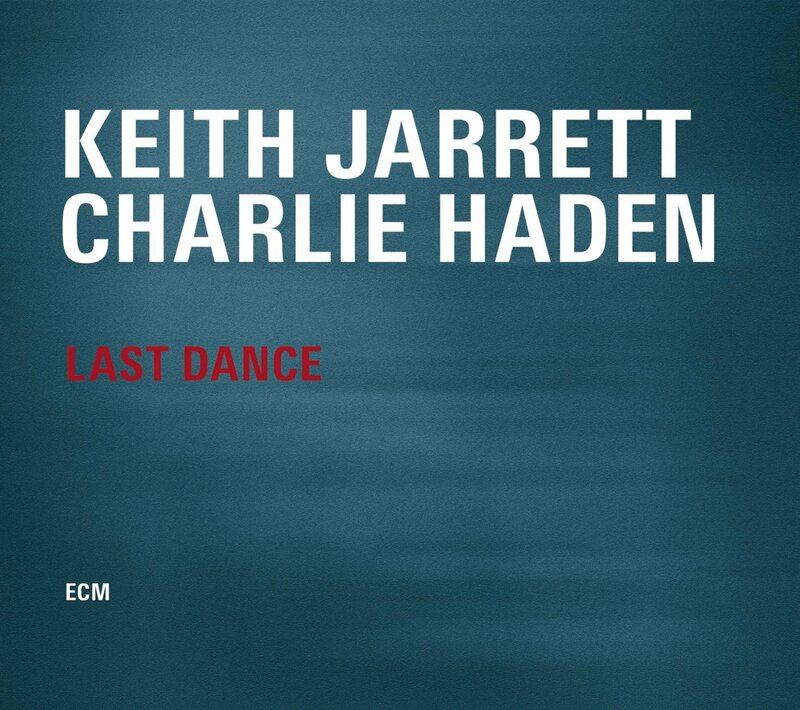 Then Haden and Jarrett parted ways and pursued their own musical paths for several decades, uniting again informally in 2007. That led to recording sessions, which resulted in both the gorgeous Jasmine and this equally lovely disc. On it, the duo plays a set of standards–mostly ballads like “My Old Flame” and ‘Round Midnight,” but also the uptempo bop classic “Dance of the Infidels.” As on Jasmine, Jarrett and Haden play as if they share both a brain and a heart; mercifully, Jarrett keeps the intrusive vocalise to a bare minimum, leaving the listener free to enjoy the brilliant and sensitive interplay between these two genius musicians unhindered. Haden suffered from post-polio syndrome and had to stop performing just a few years after these sessions were recorded; he died last month. Listening to this album is both a heartbreaking and an uplifting experience, and no jazz collection should be without it. Given that it was issued during the tricentenary of C.P.E. Bach’s birth, it should come as no surprise that of the “sons of Bach” referenced in the title of this set, the lion’s portion of the program is dedicated to him. It’s a little surprising, though, that this generous program includes only two works by a son other than C.P.E. ; both are by his younger brother Johann Christoph Friedrich. No matter: what is important here is the music and the playing of it, and both are top-notch. Flutist Rebecca Troxler plays a “classical flute” (which is apparently structurally different from the baroque flute; some explanation of that distinction in the liner notes would have been useful) and the works on the program include solo and trio sonatas, quartets, and a couple of palate-cleansing fortepiano pieces (played winningly by Andrew Willis). 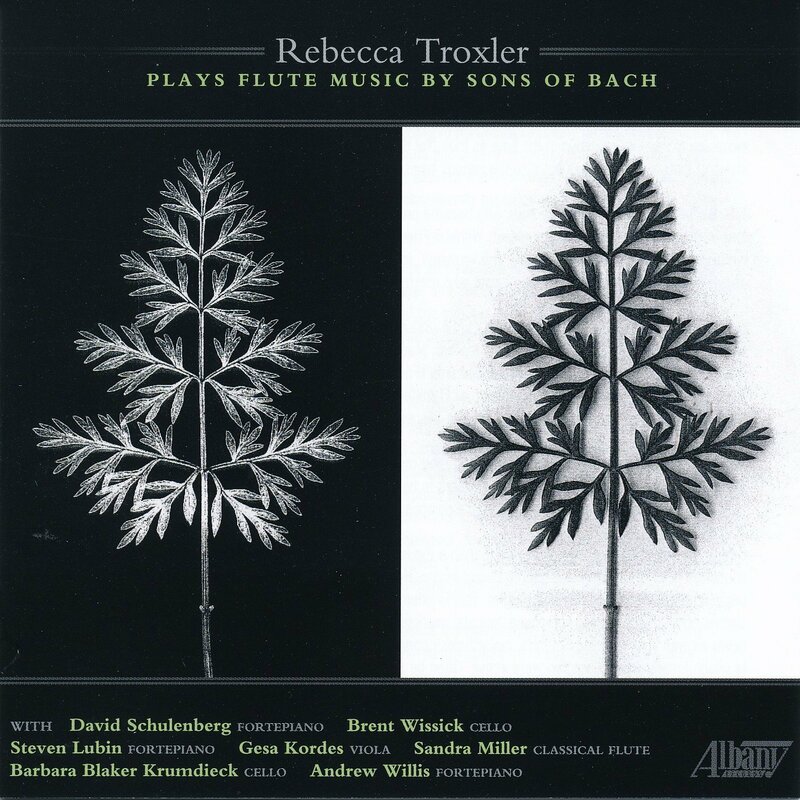 The quality of the playing and the slightly unusual sonorities of Troxler’s instrument make this a highly recommendable recording for all academic collections. 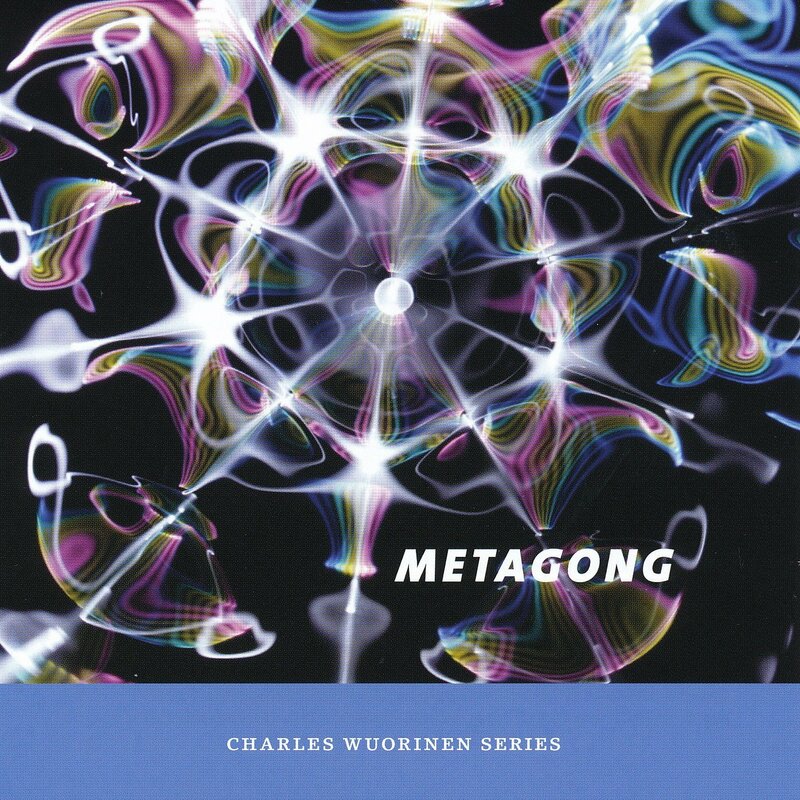 Of the great American avant-garde composers of the 1960s, very few have maintained anything like Charles Wuorinen’s energetic level of output since then. He remains a lion of contemporary music, and if his style (still heavily indebted to Vienna School serialism) can hardly be characterized as “forward-looking” today, it remains fresh-sounding and–dare I say it?–fun. 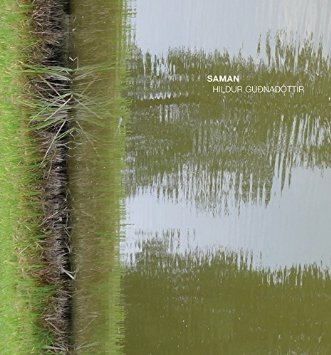 This disc features four chamber works written between 1966 and 2008, all for conventional instruments; the title composition and Janissary Music, both for percussion (the former also featuring two pianos) bracket the program, which also includes his Trio for Flute, Bass Clarinet and Piano (2008) and Sonata for Violin and Piano (1988). This disc is one in an ongoing series of Wuorinen releases on the Albany label. 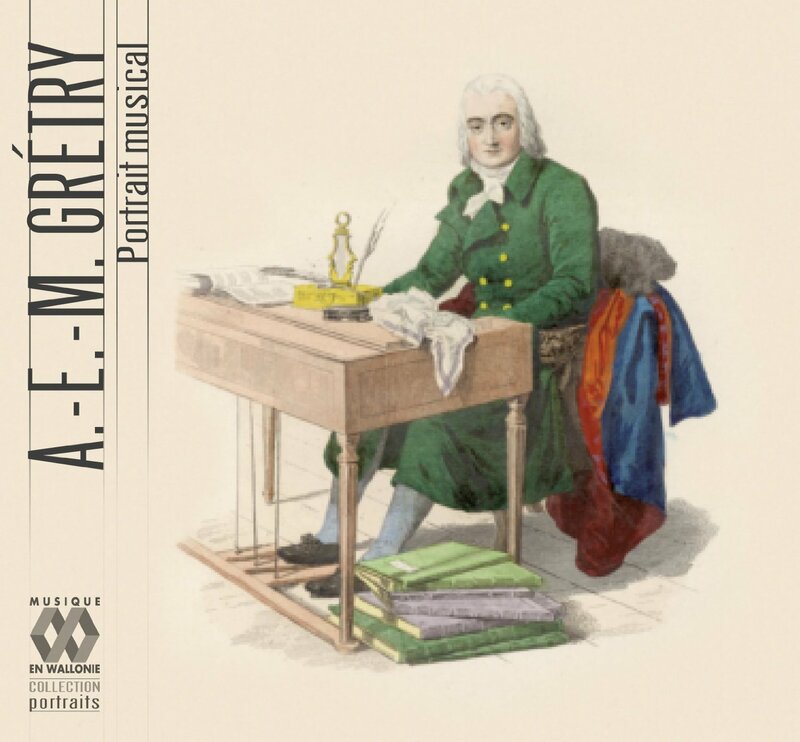 This box set offers a thoroughly delightful (if necessarily selective) overview of the work of André-Modeste Grétry, one of the most celebrated figures in French theater music of the 18th century. The recordings gathered here were made between 1977 and 2009, and if the ones from the 1970s sound a bit thin and brittle today, they still nicely convey his music’s sheer joy and élan. The stage works included here (in whole or in part) include La caravan du Caire, L’amant jaloux ou les fausses apparences, and Le jugement de Midas; one disc is dedicated to Grétry’s string quartets (beautifully performed by the Quatuor Haydn) and another to keyboard transcriptions of themes from his stage works. Highly recommended to all comprehensive classical collections. I’ve always been more of a Steve Reich fan than a Philip Glass fan (give me phased rhythmic patterns over relentless arpeggios any day), but over time I’ve been won over, somewhat, to Glass’s music–largely through the efforts of transcribers. Case in point: this lovely collection of transcriptions for guitar quartet. It helps that the pieces presented here were all originally written for string quartet; I’ve always felt that his quartets were among the strongest arguments for Glass’s style. The ones presented here are no. 2 (“Company,” a perennial favorite), no. 4 (“Buczak”), no 3 (“Mishima”) and no. 5. 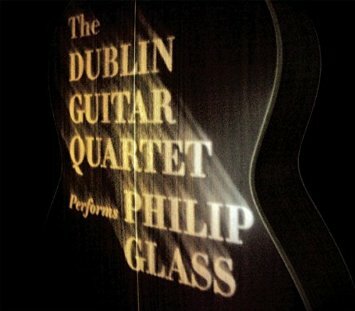 The Dublin Guitar Quartet has previously shown its skill with the minimalist repertoire with recordings of works by Kevin Volans and Arvo Pärt, so it’s not surprising that their sense of idiom is just as strong as their technical skill and general musicality. Recommended. 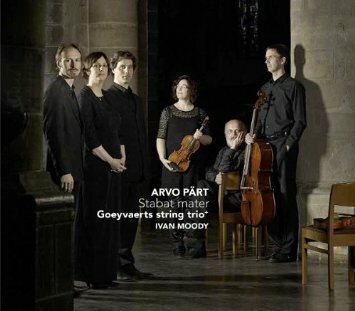 (And speaking of Arvo Pärt…) Both of the pieces presented here are rooted in the Orthodox Christian tradition. Part’s Stabat Mater setting is transcribed for string trio; Ivan Moody’s Simeron is sung by a vocal trio and accompanied by strings. Both pieces are excellent examples of what has come to be called “sacred minimalism,” a strain of sacred music (sometimes mystical, sometimes liturgical) that draws on relatively few musical elements and seeks to evoke a sense of wonder, contemplation, and spiritual union with the divine. The playing and singing on this disc are both spectacular, and the Moody piece in particular is simply stunning. Very highly recommended to all collections. 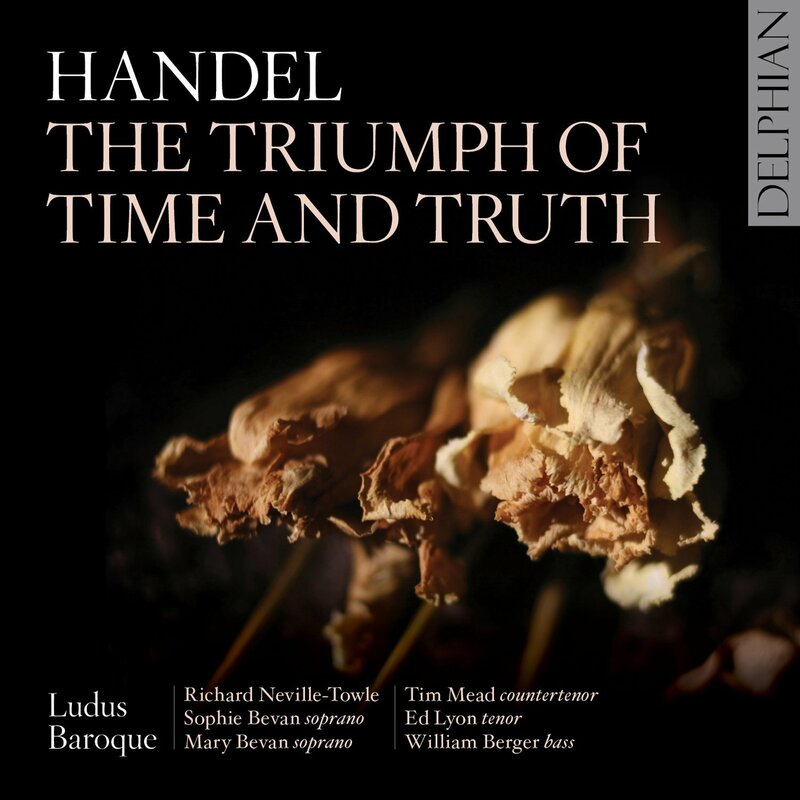 This one gets a special recommendation–not only because the performances are consistently excellent, but also because this oratorio, Handel’s last, has been neglected (if not actively disdained) by modern scholars and musicians and therefore has been rarely recorded. The reasons for its neglect are various and varyingly reasonable; as a document of Handel’s philosophical preoccupations at the end of his life, though, it is arguably essential and this recording offers a fine opportunity to fill what will be a hole in most library collections. The performance and recording quality are both excellent. This one is fascinating but also complicated, so pay close attention: there are 24 unique compositions on this program, 12 of them written for two unaccompanied vocalists and 12 for instruments. 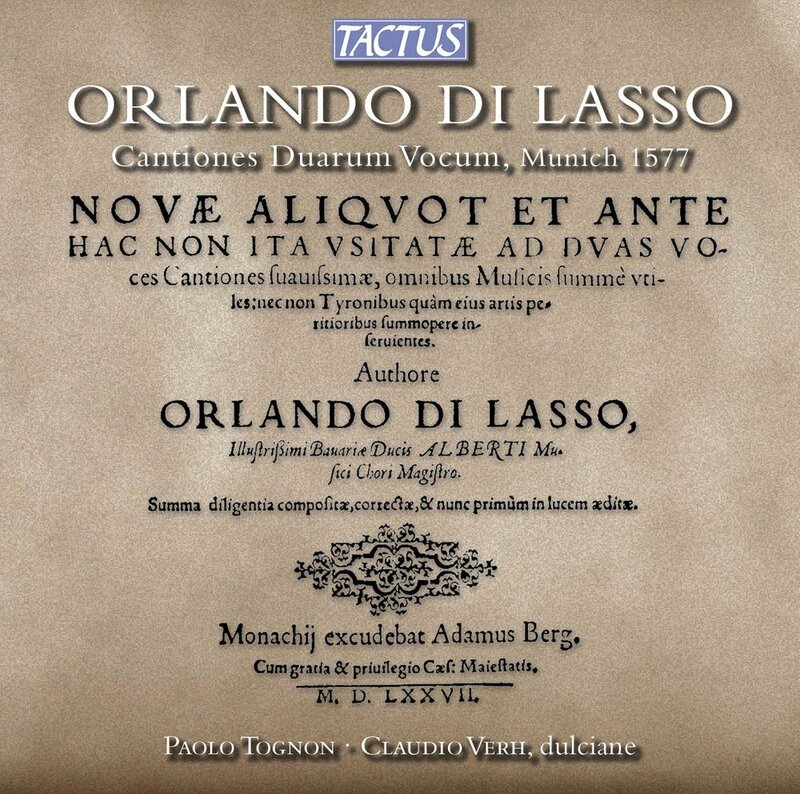 For this recording, the entire set of 24 pieces is played instrumentally (by Tognon and Verh, each playing the dulcian, an early version of the bassoon); then, the twelve vocal pieces are sung by the Gruppo Vocale Armoniosoincanto. 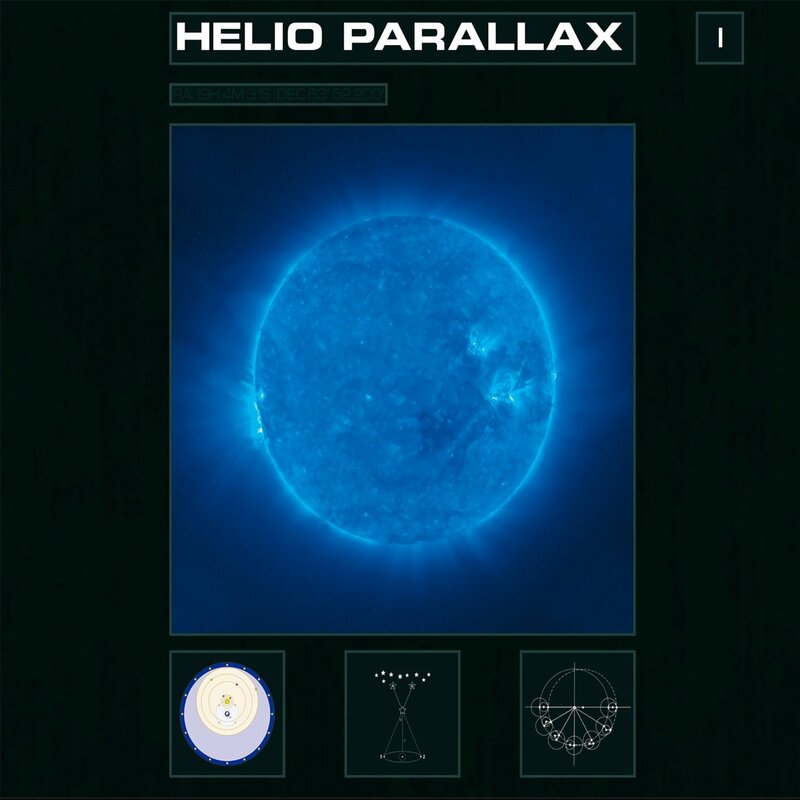 The result is an excellent pedagogical resource and a good but not excellent listening experience. The dulcian is a notoriously difficult instrument to play in tune, and while Tognon and Verh are highly skilled, 24 pieces for two dulcians gets pretty tiresome pretty quickly. The vocal pieces are more viscerally enjoyable. Recommended overall. Hildur Gudnadóttir is a cellist and vocalist who, on this album, sings and plays simultaneously (on several tracks) while also subjecting her cello to several acoustic modifications (and possibly electronic ones, though it’s not clear from the information provided). On one track she connects her instrument to the resonating chambers of two grand pianos; on others the rich resonance of her playing sounds like it’s an artefact of the room in which she’s playing. 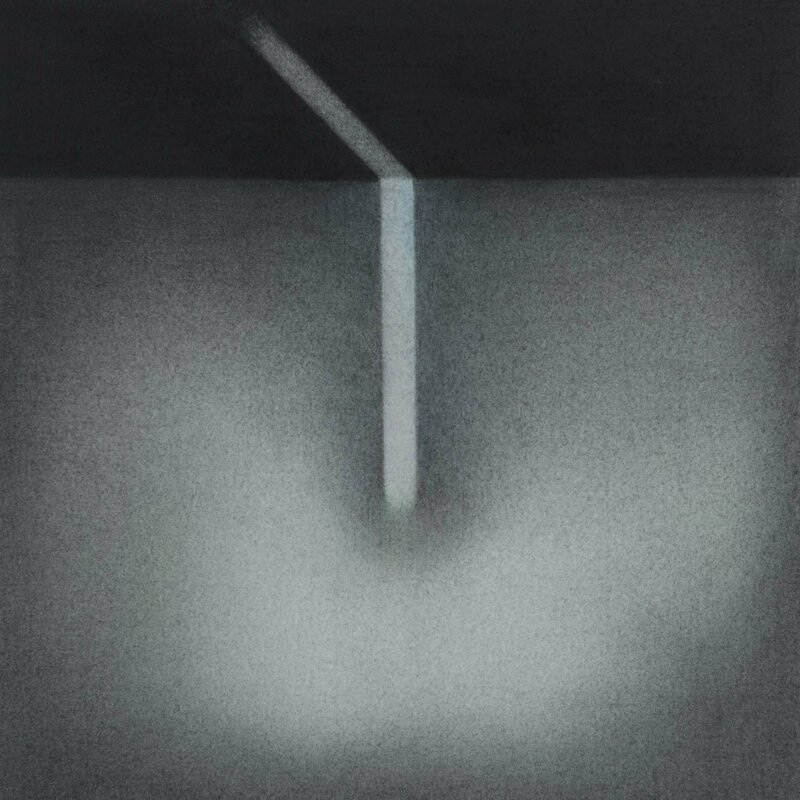 All of the pieces presented here are quietly intense and deeply beautiful; at low volumes they could easily function as ambient music, but turned up in a large room they reward close attention as well. Highly recommended to all libraries. 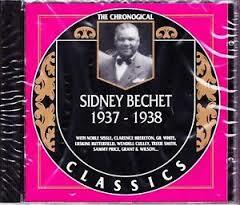 Originally issued in 1991, this disc offers a treasure trove of obscure Sidney Bechet sides that will be of interest to all comprehensive jazz collections. It consists mostly of tunes he recorded as a member of Noble Sissle’s ensembles (Noble Sissle and His Orchestra and Noble Sissle’s Swingsters), but also includes a handful of recordings he made as a sideman to vocalist Trixie Smith and to Grant and Wilson, as well as four sides recorded as a leader. Some tracks are startling: notice, for example, the choral backing and the yodeling on “Characteristic Blues.” The sound quality is consistently pretty good, and the performances are thrilling–Bechet’s solos never fail to captivate. The trio of Takuya Nakamura (trumpet, keyboards, etc. ), Josh Werner (bass, guitar, etc.) and Marihito Ayabe (dubbing, mixing, etc.) fairly explodes onto the scene with this wonderful debut album. The problem is that it’s hard to say exactly what scene it is that they’re exploding onto: the larger context seems to be jazz, but there’s too much going on here to make it easily categorizable: ambient, dub, funk, R&B, avant-electro, and all kinds of other elements are constantly floating in the mix. Hold on: did I say this was a problem? Sorry, what I meant to say was that it’s a blast. 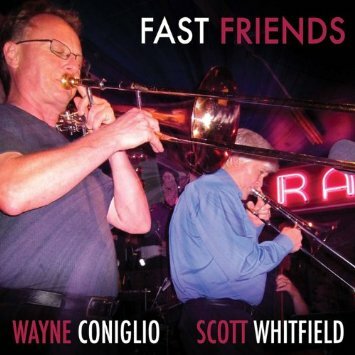 Wayne Coniglio and Scott Whitfield are trombonists with strong backgrounds in big band jazz, but for this album they’ve joined forces to make a small-ensemble album. Accompanied only by an excellent piano trio, they work their way through a nicely mixed program of standards, originals, and modern tunes by the likes of Steve Turre and Toshiko Akiyoshi. 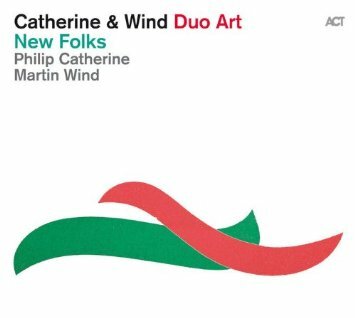 The mood is alternately jaunty, soulful, and boppish, with both players displaying an impressively swinging agility on their notoriously unwieldy instruments; Coniglio’s work on the bass trombone is especially noteworthy. Recommended to all jazz collections. All libraries with a collecting interest in jazz should be keeping an eye on the steady stream of world-class albums currently being released on the Smoke Sessions label. All have been recorded live at New York’s Smoke Jazz Club, and all so far have been excellent. 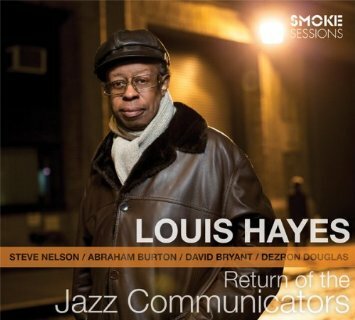 This one is no exception: drummer Louis Hayes leads a quintet that also includes saxophonist Abraham Burton, vibist Steve Nelson, pianist David Bryant, and bassist Dezron Douglas. Their approach is generally quite straight-ahead, but they’re not afraid to get discursive when the mood strikes, and the evenly-balanced set of originals and standards gives them plenty of opportunity to do both. Very highly recommended. 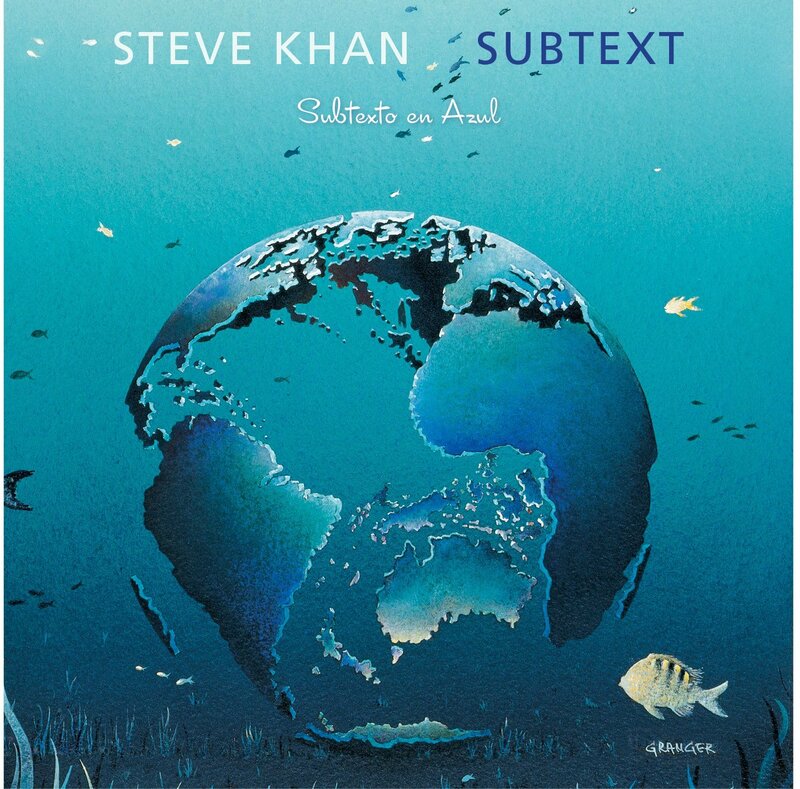 A new Steve Khan album is always a special occasion, and this one is a particular joy. Here the guitarist is joined by his longtime drummer Dennis Chambers, along with percussionist Marc Quiñones and bassist Rubén Rodríguez and a rotating cast of guest players including percussionist Bobby Allende and pianist/orchestrator Rob Mounsey. As you might guess, the overall flavor here is overwhelmingly Latin, though it’s Khan’s particular, personal take on Latin rhythms and inflections. The playing is all absolutely brilliant, as is the arranging–and I was particularly knocked out by Khan’s elegant and complex Latin take on Thelonious Monk’s “Hackensack.” I’ve always loved the way Khan plays Monk, and he really outdid himself here. A must for all jazz collections. Swinging hard without a drummer is by no means impossible, but it’s not that easy either. Guitarist Philip Catherine (who earned his hard-swinging skills by playing drummerless Gypsy jazz in his youth) and bassist Martin Wind do it handily on this standards-heavy set, but they also rock out (on Oscar Pettiford’s “Blues in the Closet”) and gently weep (Paul McCartney’s “Jenny Wren”). Rocking out without a drummer? Also not that easy, by the way. 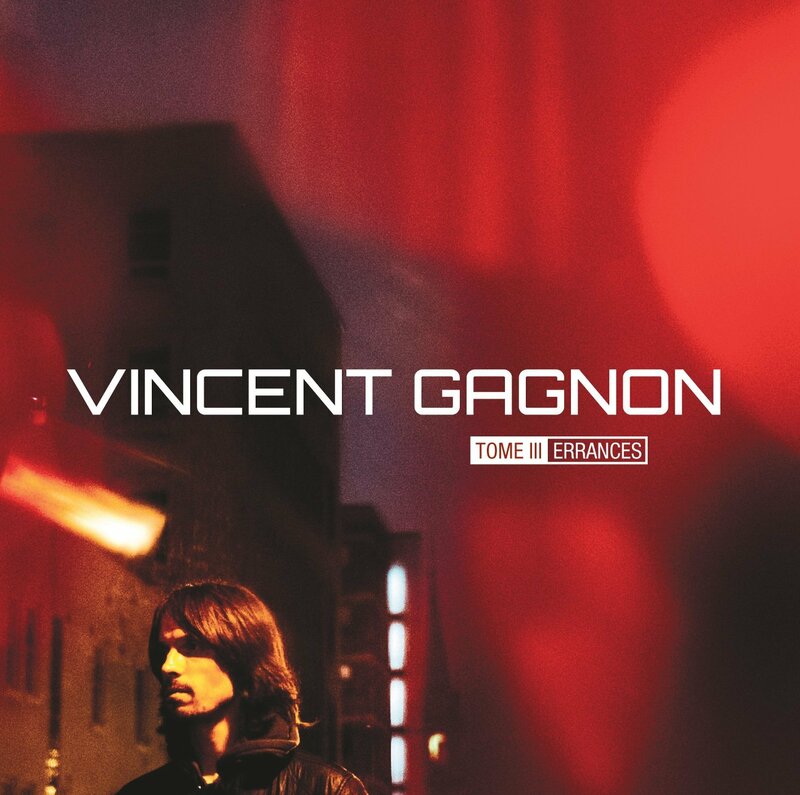 This is a very nice quintet album led by Québecois pianist/composer Vincent Gagnon. Generally quite impressionistic in style, there is nevertheless always a solid musical core to Gagnon’s compositions and arrangements–at no point does it sound as if he and his compadres are just noodling over a vaguely-connected set of chord changes, as is so often the case with combos playing in this mode. That said, his ballads are especially affecting; “Ce qu’il reste de la nuit” (“What Remains of the Night”) is meltingly gorgeous, as is the gentle jazz waltz “Parfois l’aube” (“Sometimes the Dawn”). The T Sisters are a Bay Area ensemble working in a grab-bag of styles. 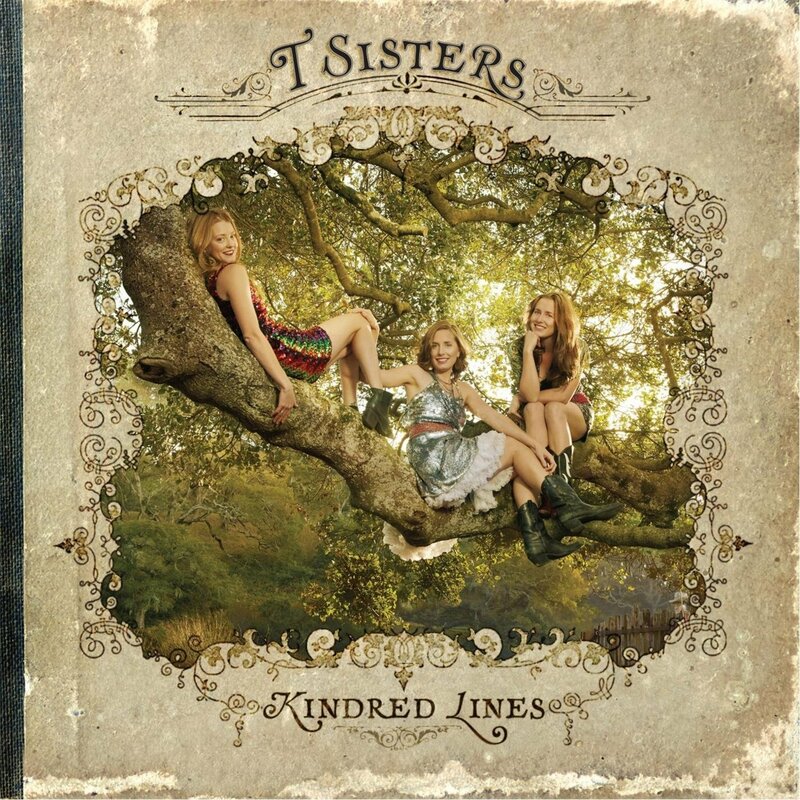 Real-life sisters who seem to share a single voice and whose facility with close harmony is almost uncanny, the trio sometimes sounds like a World War II girl group (“You Don’t Know”), and sometimes dive into high-lonesome bluegrass (“Train Wreck”) or torchy, stomping blues (“But Not for You”). 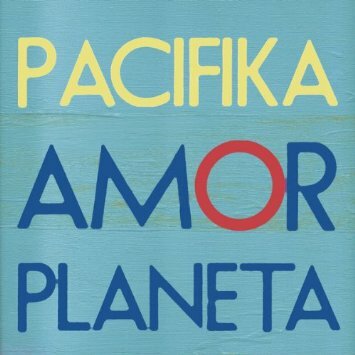 Their lyrics are sometimes sweet, sometimes acerbic, and almost invariably original–this album consists entirely of their own compositions except for a cover of Paul Simon’s “American Tune.” Great stuff. 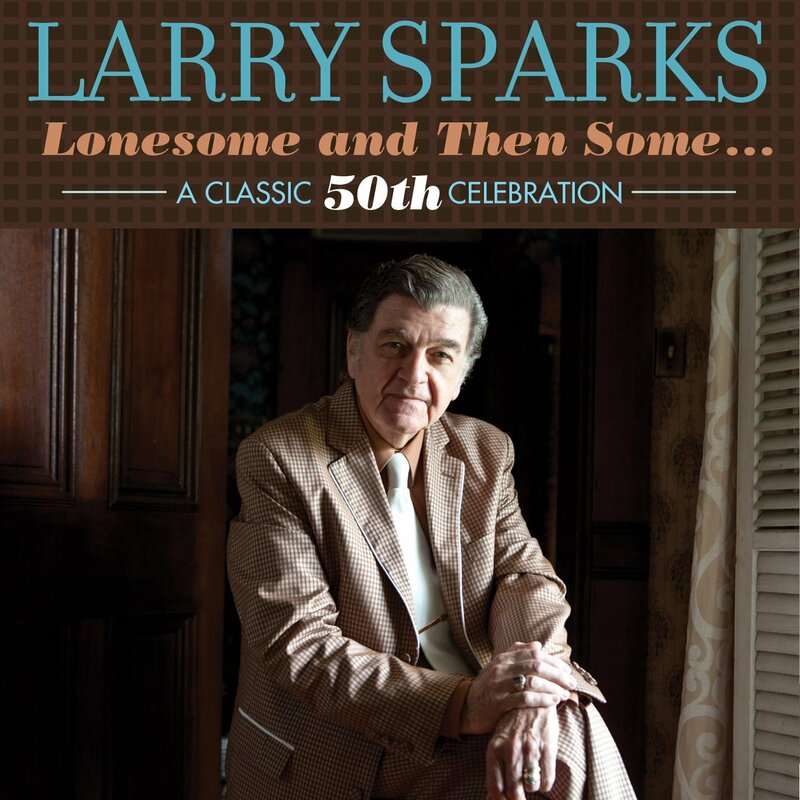 Ten years ago, the Rebel label celebrated Larry Sparks’ 40th year in the music business with an album on which he was joined by several other bluegrass veterans and youngsters. Ten years later it’s time for another one, and it’s a gem. There are guest appearances from Alison Krauss, Ralph Stanley, Bobby Osborne, and even the late Bill Monroe (courtesy of a live recording made in 1995). The program includes chestnuts like “Dim Lights, Thick Smoke” and “In the Pines,” and if Sparks’ voice has lost a little bit of its range and power, his interpretive ability has only deepened–notice the depth of feeling he brings to “Will You Be Satisfied That Way” and the way he and Stanley play off each other on “Loving You Too Well.” This is a fitting celebration of the long career of a bluegrass master. 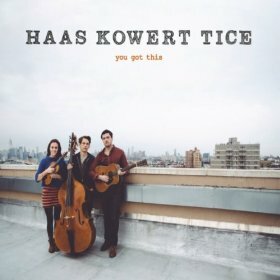 These days there seems to be no shortage of hair-raisingly talented young people pushing the boundaries of the string-band sound by taking more or less traditional instrumental configurations (in this case, fiddle, guitar, and bass) and tune structures and using them as a springboard to extended flights of harmonic and melodic fancy. Bu the trio of Brittany Haas (fiddle), Paul Kowert (bass), and Jordan Tice (guitar) pursues that agenda with a bit more sophistication than many, creating long and complex compositions that are accessible but–if you’re paying attention–challenging at the same time. To call this “roots” music” wouldn’t be quite right; it’s definitely music with roots, though. 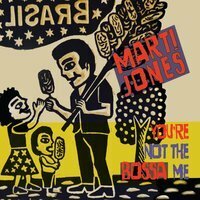 Marti Jones is, in an unassuming way, a mainstay of the ongoing Southern alt-pop movement that originally emerged in the early 1980s with bands like Let’s Active, R.E.M., and Pylon. After spending time on (and off) major labels throughout the 1980s and 1990s, she has run in indie circles ever since, often working with her husband, legendary producer (and also bassist, singer, and songwriter) Don Dixon. For this album, she has put together a quietly spectacular set of bossa nova-flavored songs, most of them written by members of her circle of musical pals including Dixon and the wonderful singer-songwriter Kelly Ryan (who coproduced the album and plays and sings on most of these tracks). Jones’ lovely voice and sly humor are a delight throughout, and Kelley’s and Dixon’s production style is perfect. This is an endlessly enjoyable album and it’s recommended to all libraries. 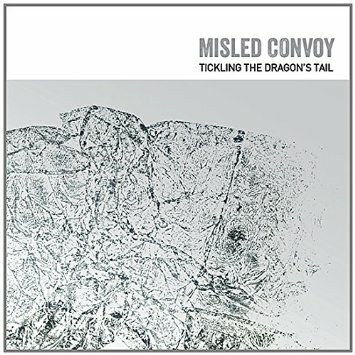 Misled Convoy is the pseudonym of Mike Hodgson, who normally records as one half of the electro-ambient-dub duo Pitch Black. For this solo outing, Hodgson stays in that general vein, but Tickling the Dragon’s Tail manages to sound significantly different somehow. I’m still trying to figure out why that’s the case. Maybe it’s Hodgson’s commitment to beats that are simultaneously powerful and borderline abstract; maybe it’s his greater willingness, in this context, to let the grooves fall off the edge into a resonant abyss. Whatever the explanation, anyone who’s a fan of Pitch Black will find plenty to love on this album, while anyone who comes across Misled Convoy without having first been introduced to Pitch Black will be pleased to learn that Hodgson already has a deep back catalog of similarly-configured music. Highly recommended. 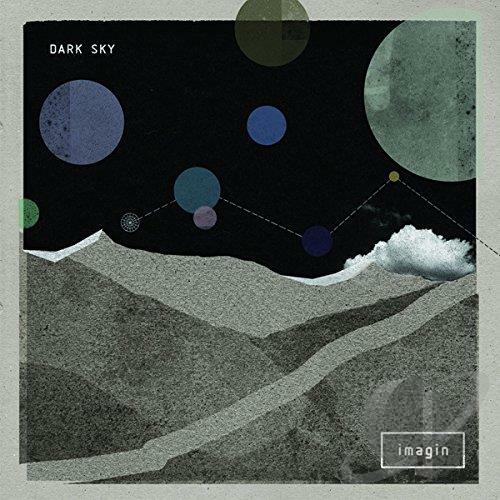 Established fans of Dark Sky–who, at this point, would know them primarily from their club-focused and analog-based 12″ singles–may be surprised by what they find upon cuing up the trio’s debut full-length. It’s not that this music isn’t danceable, exactly–it is, kind of, or at least some of it is. But it certainly doesn’t sound like dancing is what it’s all about. Instead, this music is about layers, moods, and (occasionally) lyrics; melodic hooks are in evidence, but you have to listen for them. Instead, what draws you in about the music is its overall flavor and texture. No single element of these songs and compositions is surprising, but it sounds incredibly fresh anyway. Recommended. 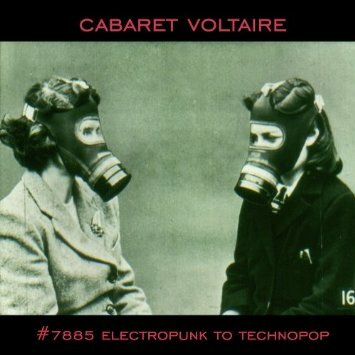 The great thing about this compilation is that it deliberately draws on two very different phases of electro pioneers Cabaret Voltaire’s career: its early, experimental phase (“Do the Mussolini [Headkick]”, “Nag Nag Nag”) and its later, poppier phase (“James Brown,” “I Want You”). Interestingly, it’s the later material that really points the way towards what would eventually come to be called industrial music — you can hear clear echoes of what the Cabs’ contemporaries Front 242 and Nitzer Ebb were doing in the early 1980s as well. It’s impressive how well these tunes hold up after all those years. Yes, the music is certainly dated; Cabaret Voltaire was nothing if not a product of its times. But there are bands out there right now who are trying to sound like this–and, in most cases, failing. Highly recommended. 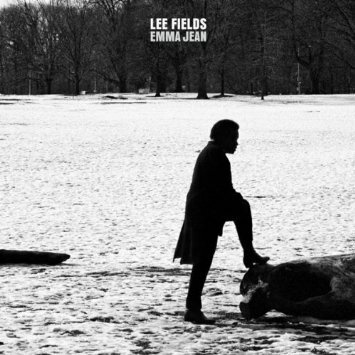 I confess that until I came across this album, I had never heard of Lee Fields. That’s embarrassing because he’s been on the scene for over 40 years, recording sporadically but touring fairly regularly. And it’s also embarrassing because he’s so good: his voice is tough and gritty but tuneful; his songs are perfect nuggets of Southern soul. His last couple of albums have featured the Expressions, who are exceptionally fine practictioners of Memphis-style R&B backing, with the occasional hint of country (notice the steel guitar on “Magnolia”). If you or your patrons have been yearning for classic meat-and-potatoes soul music, or if you find that the Sharon Jones albums are circulating a lot, definitely pick this one up. 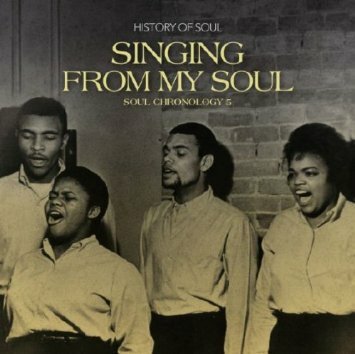 Speaking of classic soul, the fifth installment in the History of Soul label’s Soul Chronology series offers an excellent primer in the genre for anyone who needs an affordable and reasonably wide-ranging overview. Over the course of 55 tracks, you get songs both familiar (“Shout” by the Isley Brothers, “I Pity the Fool” by Bobby “Blue” Bland) and obscure (“Say Yes” by the Top Notes, “Got a Feelin'” by Willie Wright) in styles ranging from gospel to blues to R&B. With its two generously-packed discs and extensive liner notes, this package offers both a thoroughly enjoyable listen and a valuable pedagogical tool. 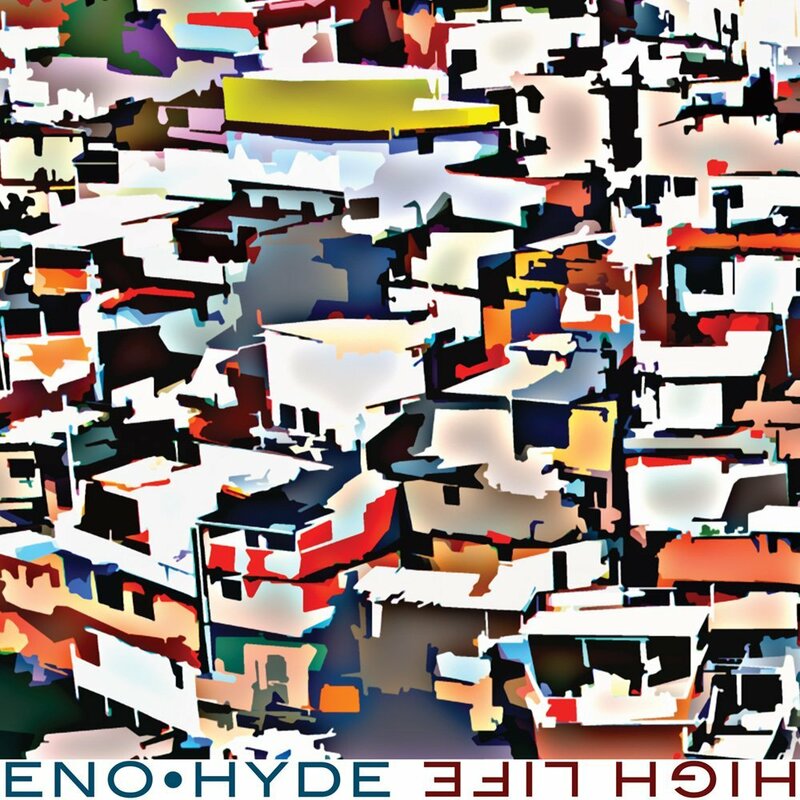 Just a couple of months ago, guitarist Karl Hyde and producer/synthesist/singer/sound sculptor Brian Eno released a duo album titled Someday World. Hot on its heels comes another one, with a very different sound. High Life is heavily influenced by 1960s-style minimalism and also by the trancey and multilayered sounds of Afropop and go-go (“highlife” is an African pop music style that originated in Ghana). As you might expect, the songs tend to have pretty open-ended structures and to be much more concerned with groove than with shape. And groove they do, fiercely, with all of the weird little production filligrees and textural richness you’d expect from a Brian Eno production. Very highly recommended. Recording as Hammock, guitarists Marc Byrd and Andrew Thompson have always tended to make music that is ethereal, at times bordering on ambient. With The Sleepover Series, Volume One they take that tendency to its logical conclusion. Originally released in 2005, this is music explicitly designed to help the listener fall asleep. You might expect that it would therefore consist of little more than glorified white noise or New Age-y pentatonic doodles, but actually the music is fascinating if you choose to pay attention to it — and if you don’t, it should serve its stated purpose just fine. Are you familiar with the “chiptune” or “synth punk” movements? No? Oh good, you’ll love this: these are people who make music using sound chips from old computer games and other vintage machinery. 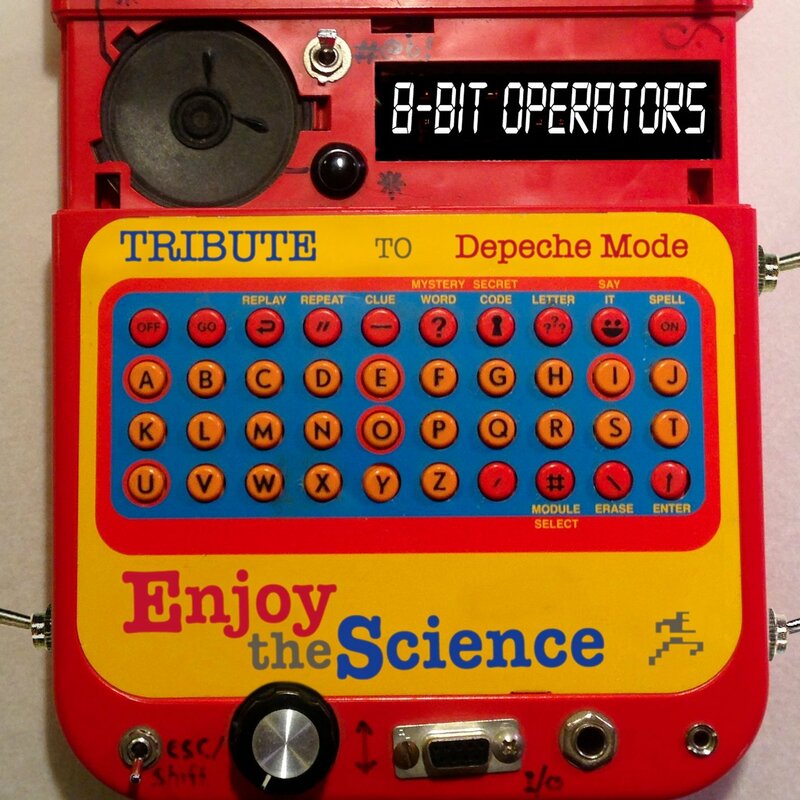 Under the name 8-Bit Operators, Jeremy Kolosine has curated a series of various-artist tribute albums that take the music of bands like Kraftwerk, Devo, and the Beatles and reimagine it in this style. The latest one takes on Depeche Mode. Is it gimmicky? Well, sure. But it’s also tons of fun, and the sounds of the old analog and early digital equipment being repurposed in this way is both kind of hilarious and genuinely, pleasingly musical. Andean pop music has a charm all its own, and cumbia has been growing in worldwide popularity in recent years. During its heyday in the 1960s and 1970s it was stylistically colonized by rock and psychedelia, and in recent years it’s been subject to the inevitable attentions of club DJs and remixers, but as this wonderful album attests, its roots are still strong. 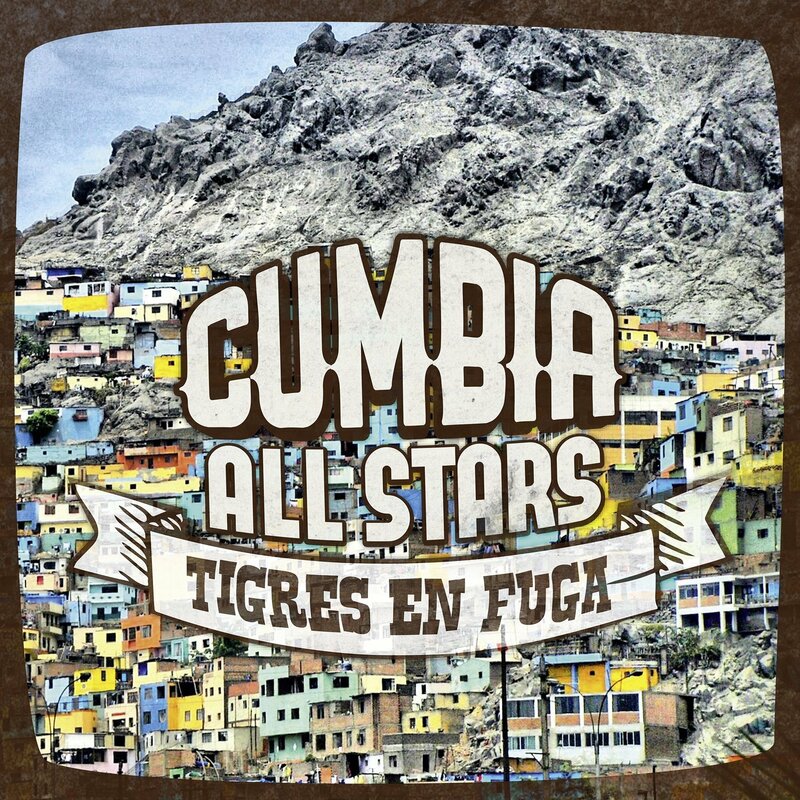 The Cumbia All Stars are as old-school as it gets, a combo consisting of musicians who were there at the beginning, and they still play and sing as thrillingly as ever. Brilliant. The fourth album from this Vancouver-based trio (producer/songwriter/guitarist Adam Popowitz, singer/songwriter Silvana Kane, bassist/drummer Toby Peter) continues the group’s practice of taking all kinds of melodies, rhythmic patterns, and instrumental sounds from all over the world and blending them into a pretty unique stew of hooky and gently danceable music. As is so often the case with pan-ethnic fusion music, the result usually ends up sounding more or less Latin — but don’t be fooled; it’s not that straightforward. Kane’s lovely voice is the glue that holds it all together. 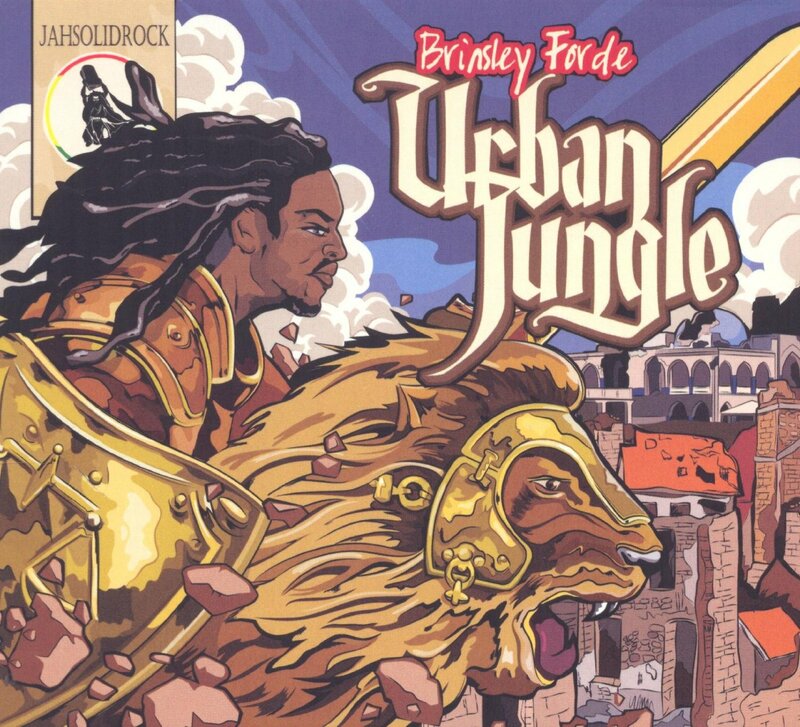 Brinsley Forde’s name may not be familiar to all reggae fans, but his band Aswad is responsible for some of the biggest hits in the history of British reggae, including the international smash “Don’t Turn Around.” After Aswad broke up he turned to acting, radio presenting, and the making of documentaries, but now he’s back with a solo album. It doesn’t depart much from the formula that worked so well for his former band: smooth, modern reggae in a blend of lovers and roots-and-culture styles, always slick enough to attract those with a more casual interest in reggae but rootsy enough to please old-school purists. His voice is as rich and strong as ever, and the hooks abound. Highly recommended to all libraries. “Another romp in the wild and wooly world of Rhythm and Jews,” says the press release, and that’s not a bad capsule description of this music. 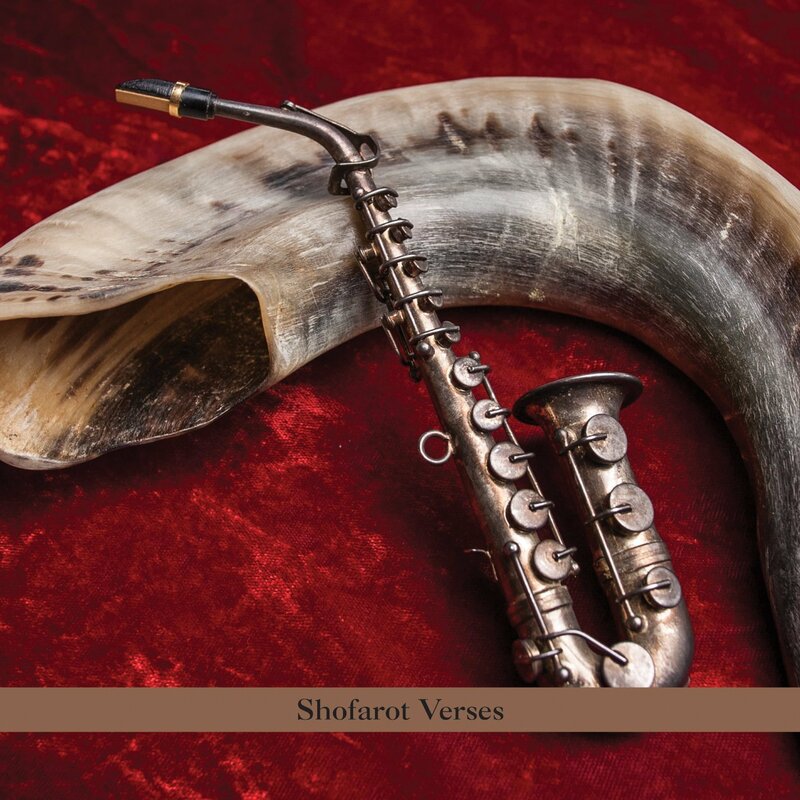 Shapiro is a saxophonist, and for this album he’s joined by guitarist Marc Ribot, bassist Brad Jones, and drummer Tony Lewis for a program of traditional tunes and original compositions that draw on themes from Rosh Hashanah readings. The mood here is dark but energetic, as astringent modal melodies are strung across a framework of surf-rock, rockabilly, and R&B arrangements. This album brings a whole new meaning to the concept of soul music. 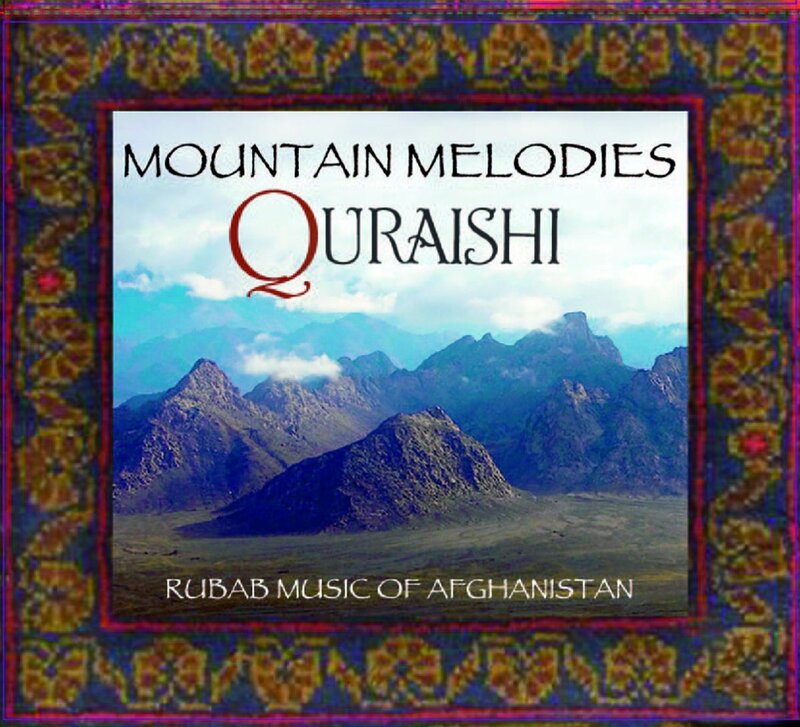 One of the many things that has been lost in the wake of war and religious persecution in Afghanistan is the recorded legacy of traditional Afghan music. Quraishi is a rubab virtuoso who fled Kabul with his family for New York City during his teens, and since then has dedicated himself to preserving the traditional style of rubab playing. On this album he is accompanied by several tabla players and performs a variety of classical, folk, and original tunes. All libraries with a collecting interest in world music should give this one serious consideration.